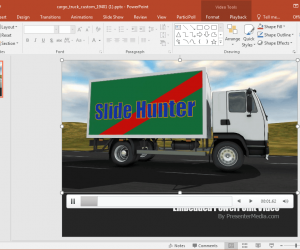 Animated Truck PowerPoint Template is a presentation slide deck with a video animation of a truck on the move. 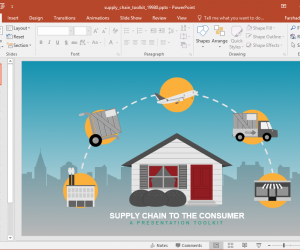 This template can be handy for presentation topics related to logistics, supply chain, transportation, business, marketing, traffic, freight, etc. 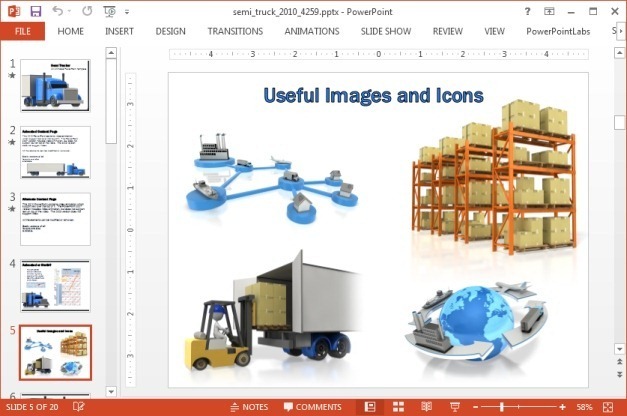 Unlike the Transport Truck PowerPoint Template, this slide set is more geared towards presentations with different kinds of content and not just infographics. 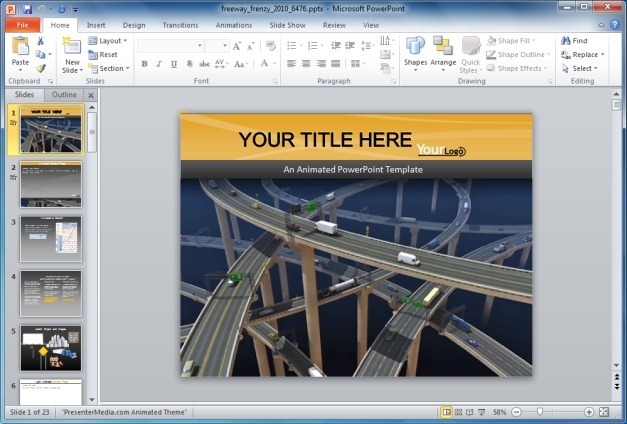 The template features both animated and static slides. 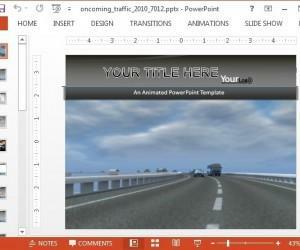 Moreover, you can also switch your slides from the ‘Layouts’ menu at the Home tab in PowerPoint. 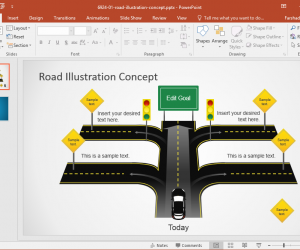 The template fashions a number of animated layouts with replaceable images, PowerPoint charts, SmartArt diagrams and picture layouts. 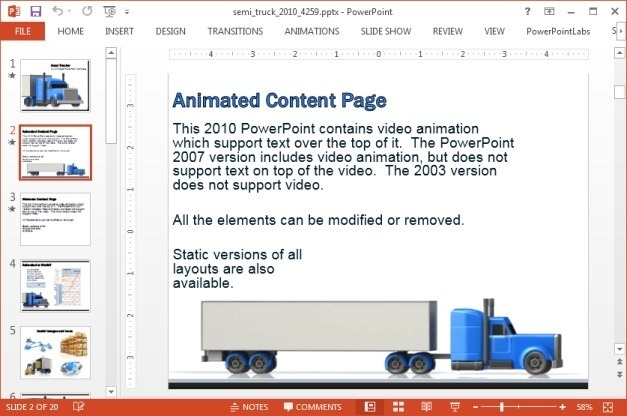 The animated layouts also provide truck animations of a moving truck. 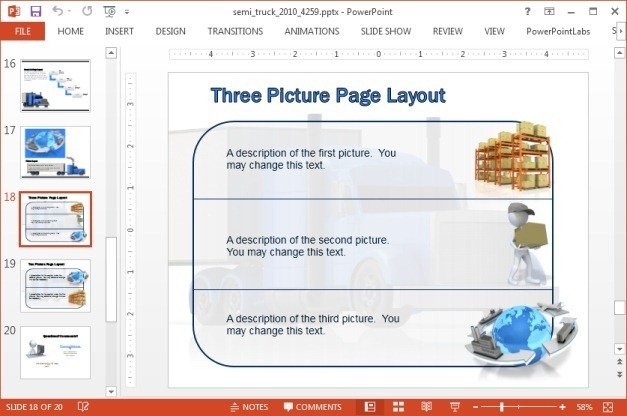 You can edit these slides by adding your text and images, which will play out with the animations. These video animated slides can help make your slides more eye-catching and enable you to effectively grab the attention of your audience. The clipart in this template is quite high quality and can be freely used across slides with your content. You can also resize the image according to need without worrying about loss of image quality or issues like pixelation. 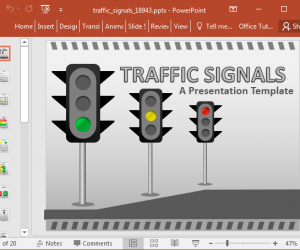 There are a number of chart slides which can be edited using PowerPoint Chart Tools. You can replace sample data with your own and even change the chart type. 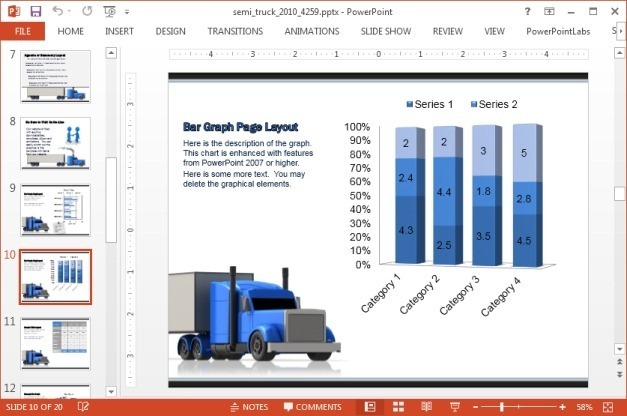 Using the sample diagrams you can create anything from charts, tables, diagram, picture layouts to comparison slides, bullet lists, text heavy slides, etc. 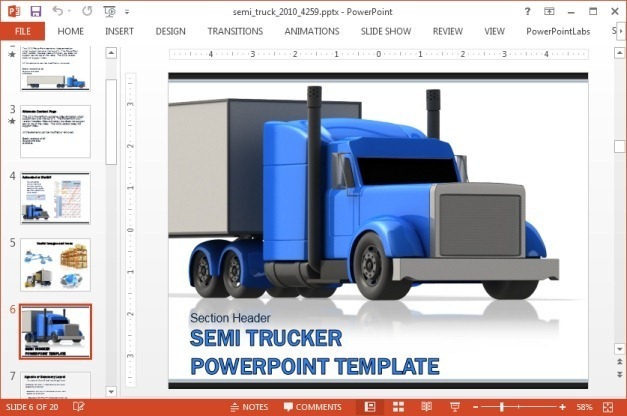 This animated truck themed template has versions available for Mac and PC variants of PowerPoint and iPad and Mac applications of Keynote. 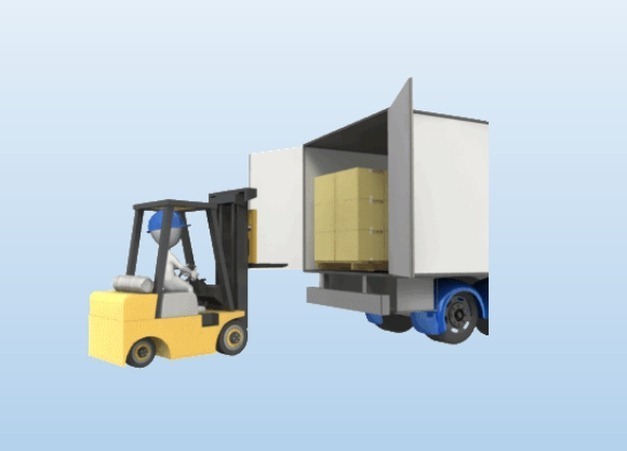 This animation shows a forklift moving cargo. You can download this forklift clipart as a GIF image for your presentations. For demonstrative purposes, we used the transparent version of this animated clipart over a blue background. You can use whatever background color you like or download the white background variant of this GIF.